Stephen Reisman is Vice Chairman of Peckar & Abramson, serves on the firm’s Executive Committee and is resident in the Miami office. Mr. Reisman’s primary area of practice is Construction Law and he is certified by the Florida Bar as a Construction Law Specialist. His practice includes the representation of general contractors, construction managers, and other construction professionals in the negotiation and preparation of construction documents, as well as in the negotiation, mediation, arbitration, and litigation of claims involving construction contracts, construction and design defects, insurance, surety bonds, and related matters. Mr. Reisman also assists with project administration on construction projects to identify and achieve early resolution of potential conflicts and disputes. 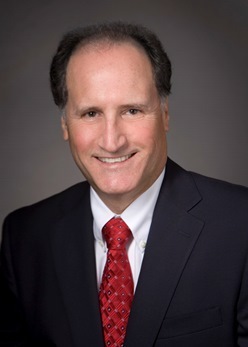 As an active member of the American Arbitration Association® Panel of Construction Arbitrators, Mr. Reisman has served as Arbitrator in many domestic and international construction disputes, and has also facilitated the resolution of numerous construction and commercial disputes in the role of Mediator. Mr. Reisman is also an active member of the American College of Construction Lawyers, ABA Forum on Construction Law, , South Florida Associated General Contractors, Construction Association of South Florida and other industry organizations. “The Perfect Pair or the Odd Couple – Challenges of Teaming Arrangements”, American Bar Associations Forum on Construction Law, 2014 (co-author and speaker). “Construction Defects,” American Bar Association Forum on the Construction Industry, 2012 (co-editor). “Construction Liens”, Florida Real Property Litigation, Florida Bar Publications, 1993, 2001, 2011, 2013 (co-author). “Completion and Turnover of the Condominium-Exit Strategy” and “Managing Risk in Condominium Construction” Condominium Construction Issues in Florida, Lorman Educational Services, 2006 (author and lecturer). “Construction Mediation,” Conflict Management in Construction, American Arbitration Association, 2004 (author and panelist). “Assumption and Delegation of Design Responsibility” Florida Law For Design Professionals, Lorman Educational Services, 2001 (author and lecturer). “The Problem Owner: Contractor’s Perspective on Termination and Other Alternatives,” Florida Construction Law – Creative Strategies for Project Completion & Litigation Avoidance, Lorman Educational Services, 1999 (author and lecturer). “Contractor’s Responsibility for Design Failures,” Construction Ink!, 1999 (co-author). “Construction Lien Law and Strategies in Florida,” National Business Institute, 1998 (author and lecturer). “Florida Construction Law,” National Business Institute, 1993 and 1997 (author and lecturer). “Legal Consequences of Construction and Design Failures,” Construction Specifications Institute, 1995 (author and lecturer). “Construction Qualifiers Liability,” Construction Financial Management Association, 1992 (author). “Rights and Liabilities of the General Contractor, Subcontractors, Suppliers and Materialmen”, Construction Litigation in Florida, Florida Bar Publications, 1983 (co-author).